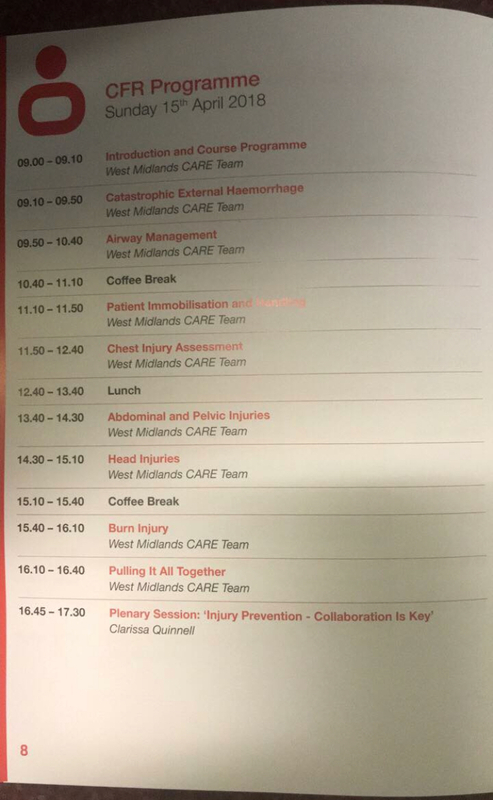 Coventry Community Responders attended the Trauma Care Conference 2018 hosted by Trauma Care Council in Stone on Sunday 15th April. 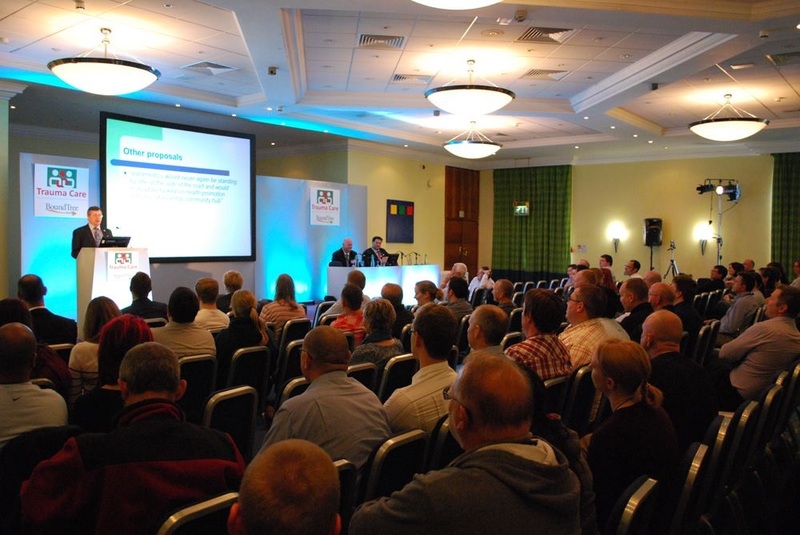 The annual conference discusses the latest standards of best clinical practice in the management of trauma in the pre-hospital environment. The one day programme developed and focusing on the common scenarios presented to first responders and search and rescue teams concentrated on the CABCDE priorities of pre-hospital care. 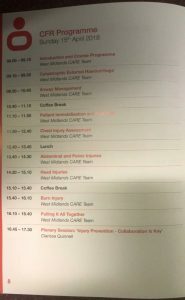 It was a great programme enjoyed by everyone and Coventry Community Responders where very pleased to be invited to attend.